Two-note mechanical door chime and door button with built-in Viewer. No batteries or wiring is required with this door chime. The door button has a brass finish and the built-in viewer makes installation easier. 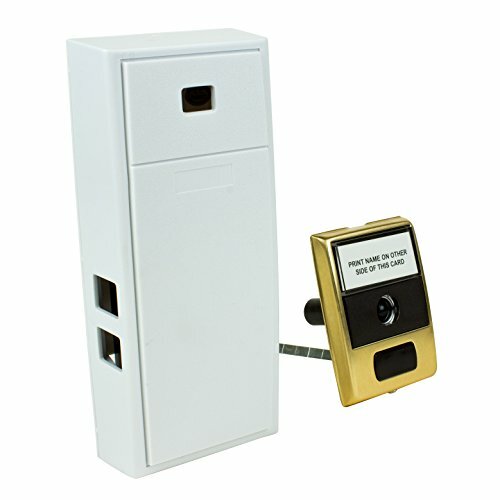 • Please note: this door chime works best for smaller homes, apartments, studios, or offices. It may be difficult to hear this chime from further than 30 feet away. If you have any questions about this product by Newhouse Hardware, contact us by completing and submitting the form below. If you are looking for a specif part number, please include it with your message.